New York Times bestselling and award-winning author Wanda E. Brunstetter is one of the founders of the Amish fiction genre. She has written close to 90 books translated in four languages. With over 10 million copies sold, Wanda’s stories consistently earn spots on the nations most prestigious bestseller lists and have received numerous awards. 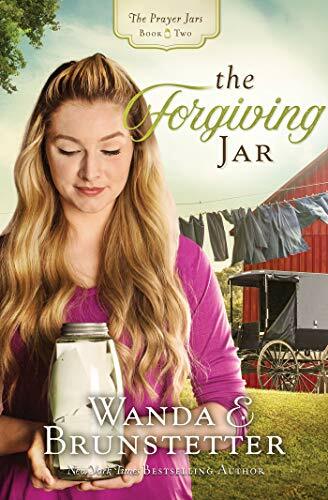 Wanda’s ancestors were part of the Anabaptist faith, and her novels are based on personal research intended to accurately portray the Amish way of life. Her books are well-read and trusted by many Amish, who credit her for giving readers a deeper understanding of the people and their customs. When Wanda visits her Amish friends, she finds herself drawn to their peaceful lifestyle, sincerity, and close family ties. 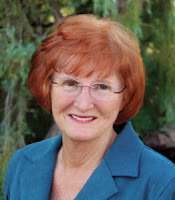 Wanda enjoys photography, ventriloquism, gardening, bird-watching, beach combing, and spending time with her family. She and her husband, Richard, have been blessed with two grown children, six grandchildren, and two great-grandchildren. I read the first book in this series last year and for the most part I enjoyed it. This book is kind of a continuation of that story. I do feel like it would really benefit to read the first book to get the whole picture, however, I suppose a person could just read this book, as there is a bit of back drop. This book focuses more on Sara than Michelle, but actually has quite a bit of both characters. (Michelle was the main character of the first book.) Sara, who is introduced in the first book, comes to live with her Amish grandparents, only to find that Michelle, who deceived her grandparents in book one, has returned. Sara has plenty of resentment and bitterness from her past, mostly focused on the fact that her mother kept the fact that she was brought up Amish from her. And she also never told Sara who her father was. Sara simply cannot forgive or get past it. Seeing Michelle only stirs up more resentment and bitterness. Sara, who is not a Christian, finds the jars in the basement with verses and prayers on slips of paper and begins reading them. Slowly, God begins a work in her life. What impressed me about this book is that God's Word is a living and active Word. The same verses that helped aid in Michelle's healing, conviction and bringing her to the Savior as prayers in the first book, also brought Sara to God in the second, but centered more on forgiveness this time around. Which, of course, demonstrates how the Scriptures are living and active and just what we need for each circumstance we are going through. The same Scripture can impress us in different ways. The idea of Michelle becoming Amish was interesting. I wasn't really sure if she would have decided on it, if it hadn't been for Ezekiel and her interest in him or not... I think it would have been interesting to know a little more about the classes she was taking, and the possibility of things not working out with her and Ezekiel affecting her decision. I was happy for them, but I kept wondering what would have happened if things hadn't worked out between them, would she still have wanted to be Amish? Once again, the style of dialog for wasn't really my favorite. It still kind of felt like it was written for a younger age group. I felt the same way about the first book. Parts seemed simple with not a lot of depth to the characters or much description. There were times when the characters really annoyed me! It centered a lot around what they were thinking. However, that didn't deter me from reading and I still found the plot to be interesting. I do feel it could have been a bit shorter. I was blessed with a copy of this book courtesy of the publisher. All opinions are my own.